root9B, a Premier Alliance Group Company (OTCQB: PIMO), announced recently the creation of an advisory panel of some of the most important figures in national security to assist in developing and marketing state-of-the-art cybersecurity solutions and training programs. 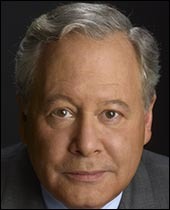 Joe Grano, Premier Alliance Chairman and Chief Executive Officer, will chair the Advisory Committee. Grano, a Special Forces veteran, was appointed by President Bush to chair the Homeland Security Advisory Council from 2002-2005. Judge William H. Webster – the only man to serve as director of both the FBI and CIA – will join Grano, Dr. Michele Malvesti, a former high-ranking member of the National Security Council and current Jackson Institute fellow, and Lewis C. Merletti, former Director of the U.S. Secret Service, on the panel. The advisory committee will assist root9B – already one of the nation’s top providers of cybersecurity services to government and private organizations – in developing strategies and pursuing new business opportunities. Among other national and global clients, root9B provides cybersecurity defense and training programs for the U.S. Department of Defense and The Boeing Company. Founded in 2011 by former National Security Agency (NSA) cybersecurity specialists, root9B was acquired by Premier Alliance in December of 2013. The company offers cutting-edge technology, tactics development, custom tools and deep mission experience, through a comprehensive program of advanced vulnerability analysis, penetration testing, digital forensics, incident response and active ‘adversarial pursuit’ engagements on some of the most sensitive and targeted networks worldwide. Eric Hipkins, root9B’s founder and CEO, said the addition of leading national security experts will only enhance the innovative work root9B is doing for public and private organizations. “This is a significant day for our company, and a better day for our current and future clients,” said Hipkins, who has more than 25 years of experience in advanced cyber and technical operations in the U.S. Army and the NSA. Judge Webster served as FBI director during the administrations of Presidents Carter and Reagan, and was appointed Director of Central Intelligence during the second Reagan term. He is the only person to serve as the head of both intelligence agencies. Additionally, he served more recently as Chairman of the Homeland Security Advisory Council. Among his many honors and citations for national service, Webster is a recipient of the Distinguished Intelligence Medal, the Presidential Medal of Freedom and the National Security Medal. Dr. Malvesti is a Senior Fellow with the Jackson Institute for Global Affairs at Yale University, where she also teaches on issues of national security, and is a member of the Board of Directors for the Special Operations Warrior Foundation. Previously, she served more than five years on the National Security staff under then-President George W. Bush, and co-chaired a presidential study review that reformed the White House organization for homeland security and counterterrorism on behalf of the Obama administration. Merletti, a U.S. Army veteran, was the Director of Secret Service during the Clinton administration. A 25-year Secret Service veteran, he currently is Executive Director of Strategy for root9B. He served as Senior Vice President of the Cleveland Browns football organization from 1999-2011, in charge of team security, and now works with the Lerner family, the team’s former owners, on all aspects of their security, both personal and business-related. Grano brings a long and distinguished record of financial leadership to Premier Alliance. He also chairs Centurion Holdings LLC, and is a former chairman of UBS Financial Services. Based in Colorado Springs, Colo., root9B is a leading provider of advanced cybersecurity services and training for commercial and government clients. Combining cutting-edge technology, tactics development, specialty tools, and deep mission experience, root9B personnel leverage their extensive backgrounds in the U.S. Intelligence Community to conduct advanced vulnerability analysis, penetration testing, digital forensics, incident response, industrial control system (ICS) security, and active adversarial pursuit (HUNT) engagements on networks worldwide. For more information, visit www.root9B.com. Premier Alliance Group Inc. (OTCQB: PIMO) is a leading provider of Cybersecurity, Energy and Business Advisory Solutions. Headquartered in New York City, Premier Alliance has been delivering results that improve productivity, mitigate risk and maximize profits since 1995. Our clients range in size from Fortune 100 companies to mid-sized and owner-managed businesses across a range of industries, including local, state and federal government agencies.